If you’ve been keeping an eye on our Events page lately, you’ve noticed that Richmond Dental & Medical will be heading to some exciting events this fall. While it’ll be our first time at the 2016 Nurse Anesthesia Annual Congress of the American Association of Nurse Anesthetists (AANA), it will be our second time attending the ANESTHESIOLOGY 2016 Annual Meeting put on by theAmerican Society of Anesthesiologists®. We’re confident that we have a product that both of these dental professional groups will appreciate. We’re excited to unveil this product at these two signature events, events that are essential for our industry. We certainly hope to see you there. We’ll be at the 2016 Nurse Anesthesia Annual Congress in Washington, DC, from September 9-13 at Booth #1509. The ANESTHESIOLOGY 2016 Annual Meeting will be held in Chicago, IL, from October 22-26, and we can be found at Booth #2223. 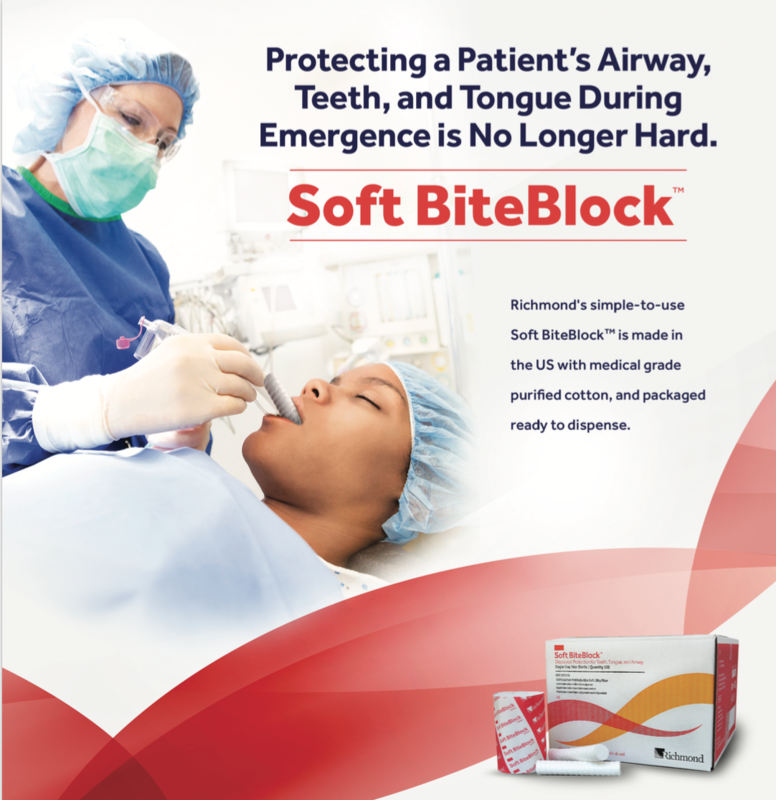 Stop by for a Soft BiteBlock™ sample.